iOS 5 beta has iCloud support now, but getting the entitlement code-sign to work has some steps that are missing from Apple Documentation. 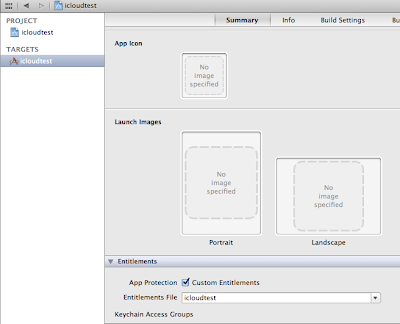 You should use the new Xcode 4.2 for iOS 5 SDK and with iOS5 on an iDevice. 2) After created the New App ID, you should first enable iCloud for that New App ID and then create the a New Provisional Profile for that New App icloudtest. 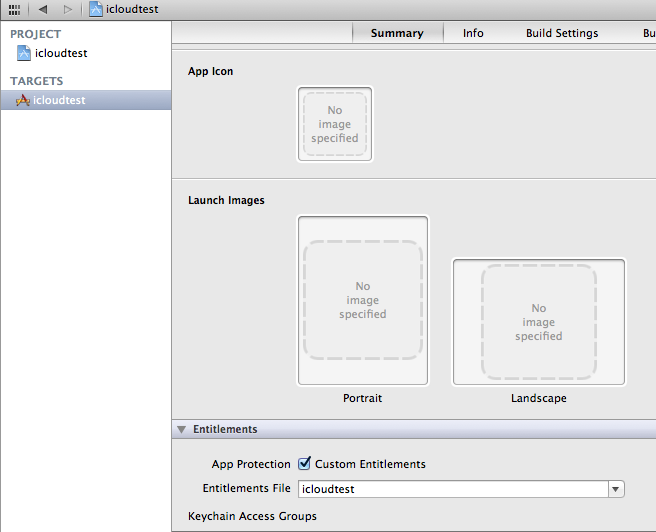 3) Suppose the new Development Profile called "iCloudTest" is created and downloaded to the Mac. 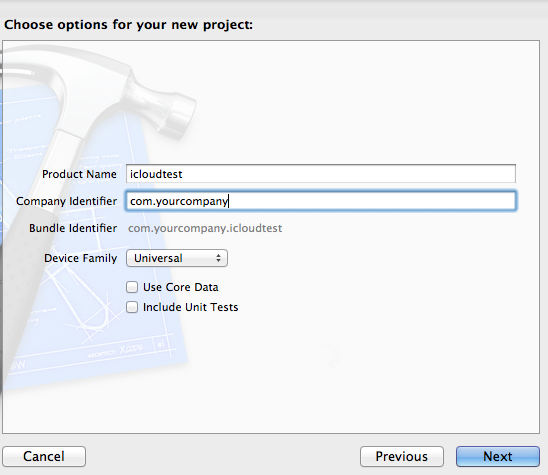 9) Enter the Team-ID.com.yourcompany.icloudtest into the Value column. The important part is where to get the Team-ID ? it's a nice post,very helpful.Please can you give the same type of post(idea)for mac os x.
I am getting the icloudURL as NULL. How could I solve this? Thanks a lot my URL is showing but can I find the little information that I have put into iCloud and see it from the developer portal https://www.icloud.com ? Great tutorial, I would like to add some caveat I found. I am also getting the null icloudURL and also infront of my .entitlements there is a ? mark, can u please help me. it work for me, but after upload file on icloud, how to get back for it. because it get the list of all files which was uploaded with path but i m not able to download file from links. if you know, where i m wrong, please success the point. I did not understand paragraph 5. "5) Import the Development Profile "iCloudTest.mobileprovision" to Xcode and to iPhone/iPad which should be iOS 5 beta"
Were can i find iCloudTest.mobileprovision file? Were should i put the file in Xcode? i also could not understand Para # 5.